Get rid of eyeglasses with refractive lens exchange! Seeing clearly at different distances is possible thanks to the change in the shape of the lens of the eye. 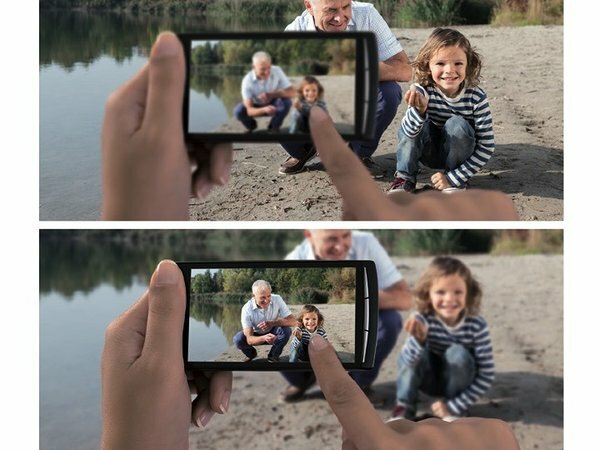 The elasticity of the lens decreases with age. Therefore, middle-aged people who could see well both at short and long distances in their younger years now need so-called reading glasses. On the other hand, people with mild short-sightedness (myopia) need reading eyeglasses later in life or not at all, and people with long-sightedness (hyperopia) need reading eyeglasses earlier. However, in people older than 55 year of age the preferred option for getting rid of eyeglasses is lens replacement surgery with multifocal lenses or extended focus intraocular lenses. The first artificial lens was inserted into an eye during cataract surgery as early as 1949. At first the aim was just to replace the cloudy lens with a transparent one, but the development of technologies in the manufacturing of lenses and defining the correct optical strength made it possible to correct optical disorders too. The results became so good that transparent lenses began to be replaced in order to achieve optical correction. Today it is possible to get rid of plus, minus or cylindrical eyeglasses with lens replacement surgery or cataract surgery. In patients having insurance provided by the Estonian Health Insurance Fund, a monofocal artificial lens (i.e. a lens that has only one focus) will be inserted free of charge into the eye during cataract surgery. Such a lens enables only the correction of spherical optics and makes it possible to see clearly only at one specific distance. In the case such a lens is chosen that makes it possible to see well at long distances, plus eyeglasses have to be used for reading. On the other hand, in the event that a lens suitable for seeing well at short distances will be chosen, minus eyeglasses have to be used for looking at long distances. A monofocal lens also does not correct the cylinder. 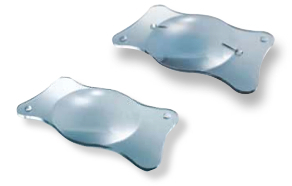 For this purpose monofocal or multifocal cylinder-correcting or toric lenses have to be used. Nowadays two so-called premium lens options are available for getting rid of eyeglasses and to see well at long, medium and short distances: either multifocal or extended focus artificial lenses. Both can have a toric or cylinder-correcting component. In the case of multifocal lenses the amount of light that enters into the eye will be distributed between two or three different focuses. With bifocal lenses (i.e. lenses with two focuses), it is possible to see well at long and short distances, but there might be problems with seeing very well at medium distances (e.g. seeing at the computer screen). Newer multifocal lenses are trifocal, which means that they have 3 main focuses. Whereas visual acuity when looking at medium distances is about 60% of the maximum with bifocal lenses, with trifocal lenses it is about 80% of the maximum. We are using trifocal lenses from the Carl Zeiss and PhysIOL companies. Studies have shown that nine patients out of ten who have undergone lens replacement surgery with a multifocal lens do not need eyeglasses for seeing well at any distance, and 96% of them have confirmed that they would choose the same surgical procedure again if they needed to. Adverse effects of multifocal lenses could be halos or shimmer around the source of light and a decrease in contrast sensibility caused by the distribution of the light in the lens, and that could be perceived as worse sight in a situation where there is less light, e.g. in dimness or in the fog. For the reason of possible decreased contrast sensibility and the occurrence of halos, a multifocal lens might not be the most suitable option for a professional driver. The optical technology of extended focus or Extended Range of Vision artificial lenses makes it possible to extend the perception of depth up to 1.5 dioptres. This means that with an artificial lens chosen for very good vision (100% visual acuity) at long distances, 95% visual acuity is also ensured when looking at a distance of 65 cm. At reading distance (35 cm), visual acuity is about 50%, but this is enough for reading a newspaper. For ensuring very good sight at short distances we use micro-monovision similarly to femtolasik 40+ laser surgery. Similarly to hands, in the case of eyes, either the left or right eye is the dominant one. In the case of monovision, such a situation is usually created that a person sees sharply with the dominant eye at long distances and with the other eye at short or medium distances. 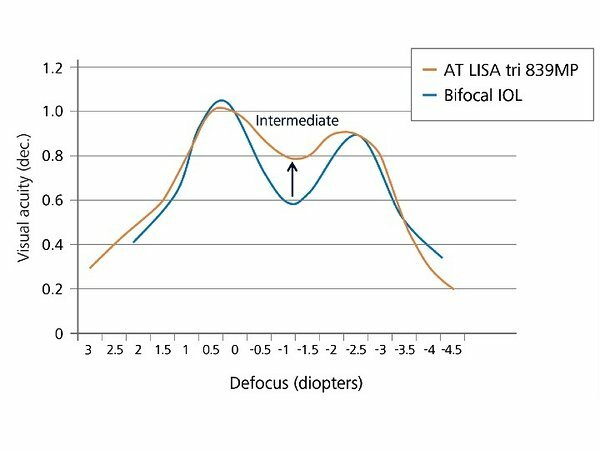 Perception of depth is about 0.5 dioptres with a conventional a monofocal lens, which means that it is not possible to cover the whole extent of vision at short and long distances with such a lens without disrupting the cooperation of both eyes and three-dimensional vision. The perception of depth is about three times bigger with an extended focus lens, and therefore it is possible to cover the whole necessary vision range with just slight differences in the optical characteristics of the two eyes. In the event that a lens with a maximum focus of 130 cm (-0.75 D) is chosen for the non-dominant eye, then visual acuity at reading distance is 95% of the maximum. 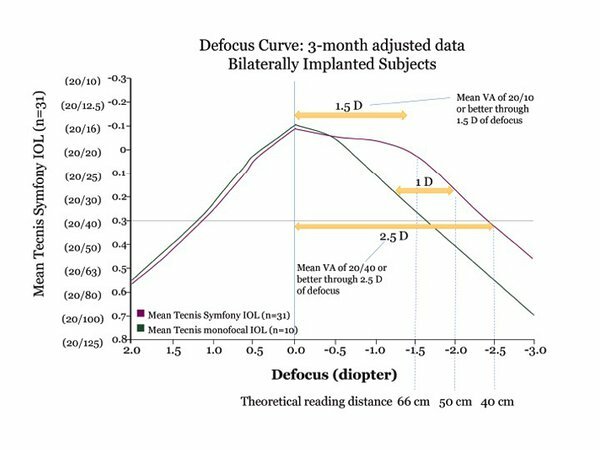 Differently from multifocal lenses, a decrease in contrast sensitivity is not observed with extended focus lenses, and halos are perceived much less frequently. An extended focus lens can also be inserted into an eye where “eyeglasses-free” laser surgery has been performed before or when changes in the eye bottom (fundus) are present. On the other hand, the advantage of multifocal lenses is good vision at long and short distances separately with both eyes. In the case of both lens types, about 3% of patients need free-of-charge additional laser surgery in order to achieve maximum results. The question of which of the two premium lens types is more suitable for a specific patient can be answered after appropriate eye examinations and a physician’s consultation. Changing the optical characteristics of the eye with laser surgery has been available for younger people as an option for getting rid of eyeglasses for more than 20 years. Although replacement of a natural lens with an artificial lens has a longer history, the advancement of technology of intraocular lenses during recent years has made it possible to achieve similar good results in middle-aged and older people. An artificial lens inserted into the eye during lens replacement surgery will stay in the eye and maintain its optical characteristics until the end of the life of the patient in the absence of other eye diseases.